& Get Paid 70% Commission on Every Sale! We Convert Your Traffic - Our sales letter was written by a proven copywriter that has written stock market info-product letters that have generated millions in sales (our current conversion rate is 13.9%). We convert your clients on a $7 offer and then proceed to upsell them to a $77 offer. This has increased our conversion rate significantly - best of all you get 70% no matter what they decide to buy! Our refund rate is less than 3% so you know we sell a quality product and you'll get to keep more money. Get paid every two weeks - our program is run by Clickbank� so you know you'll get your check on time. Our affiliate program is handled by www.ClickBank.com. 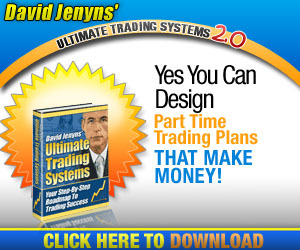 You will need to have a Clickbank ID to work with our program. If you do not have one, sign up for a free account here. Simply replace AFFILIATE with your Clickbank nickname. If you need more information or to have Clickbank generate your links for you click here. We're always looking to work with top affiliates and we'll do our best to help you get the most from your promotions. For example, in certain circumstances, we're happy to setup custom landing pages offering super affiliates 100% commissions. 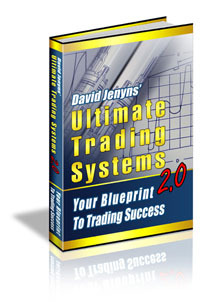 We're also open to the idea of you using the UTS2.0 as a bonus to your paid product. The fact is, we're happy to entertain any ideas you might have just click here to contact us and let us know what you had in mind. One of the sharpest, most innovative traders, and marketer's I know. I show you this little clip to make the point that you can�t teach brilliance. You see, in my opinion, a brilliant person can apply his brilliance anywhere and create terrific outcomes. Now whenever David asks me to promote his products, I do it in a heart beat� not only are his products great value (something I can feel proud to promote), but also his offers convert. In short, David is an honest, straight shooting and tells it how it is type of guy. I have him my highest recommendation. *Remember to replace 'AFFILIATE' with your own ClickBank nickname. Note: These e-mails were successfully passed through spam-checking software. If you wish to change the content in any way then please ensure you spam-check the revised text before sending. Please rememeber, we're always looking to work with top affiliates and we'll entertain any ideas you might have just click here to contact us and let us know what you had in mind.